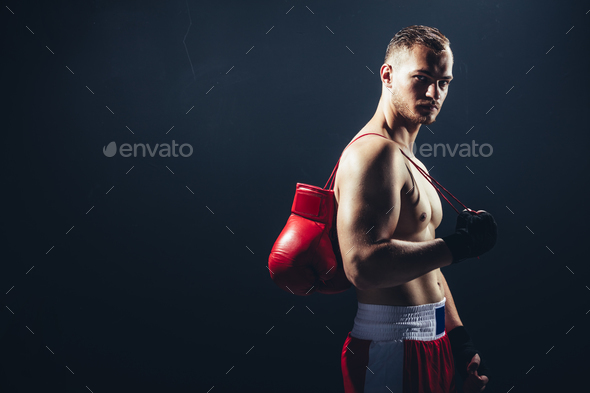 Fighter standing with gloves hanging over his back. Fighter standing with gloves hanging over his back. Professional sportsman. Boxing.